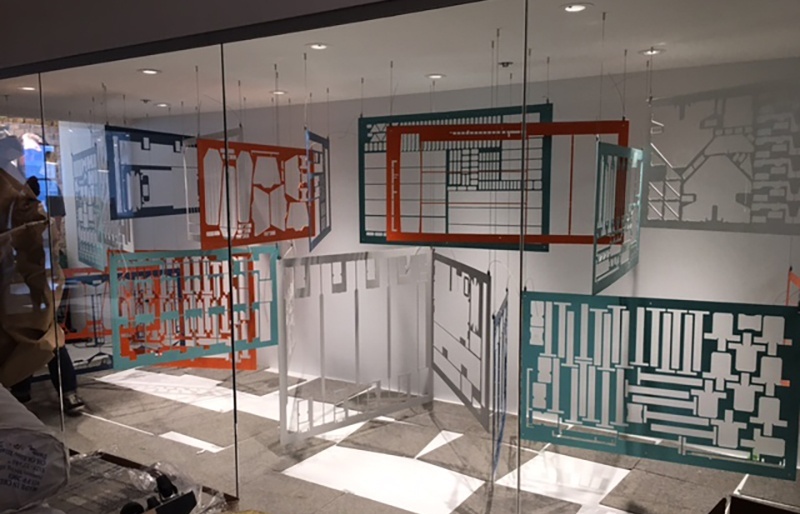 The first thing you saw when you approached the Watson showroom at NeoCon 2017 was a large glass case, full of hanging steel panels powdercoated in a variety of colors. This window area, or “fishbowl,” as we like to refer to it, is pretty unique as far as spaces in the MART go, so we knew we had to make the most of it. In the past, we’ve filled it with product, but this year we decided to take a different approach. Our Marketing team wanted to come up with something visually appealing that would draw people into the space, but needed to make sure whatever they came up with wasn’t just cool-looking. Something that really represented Watson – our brand, what we stand for, and who we are. It was while tossing around some ideas about what’s relevant to our Pacific Northwest heritage that we remembered the skeletons. Not skeleton skeletons, of course, but what’s left of our steel after we’ve created the metal components of our products. 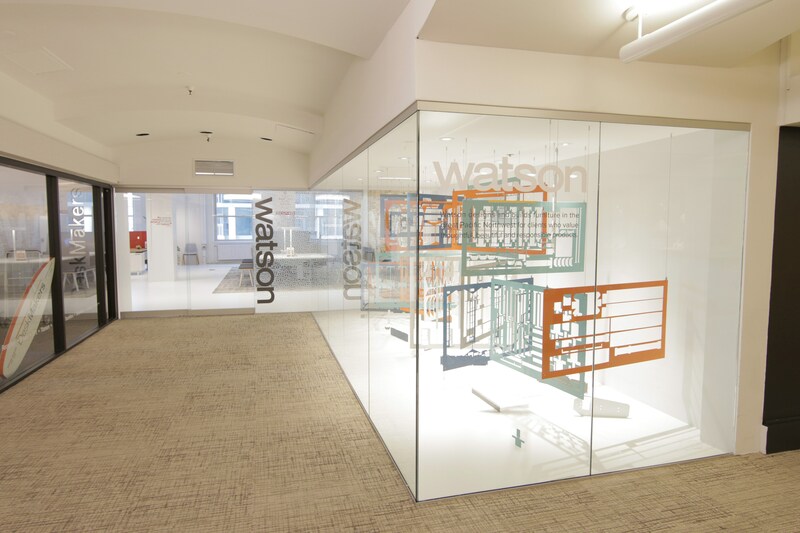 They’re highlighted at the Watson Design Studio in Seattle and they line the entry walls of our Poulsbo headquarters. 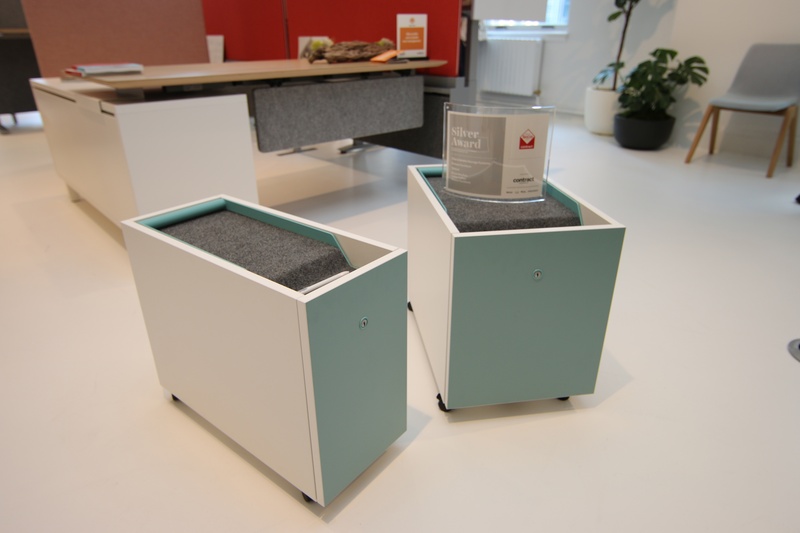 And we needed to produce new products for our showroom anyway … so why not reuse the skeletons? Our aggressive efforts to minimize our impact on the planet – what better way to reduce our waste than reuse something we’ve already created instead of creating something new? A commitment to fresh, modern design. We were getting ready to introduce new products and new finish colors to NeoCon attendees, so the skeletons were a great way of teasing the new arrivals before even getting into the showroom. 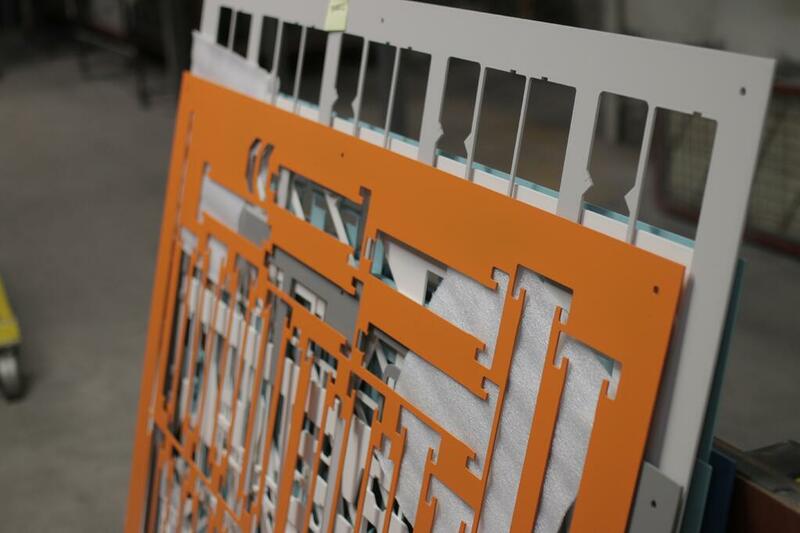 Our willingness to show you every aspect of our processes. 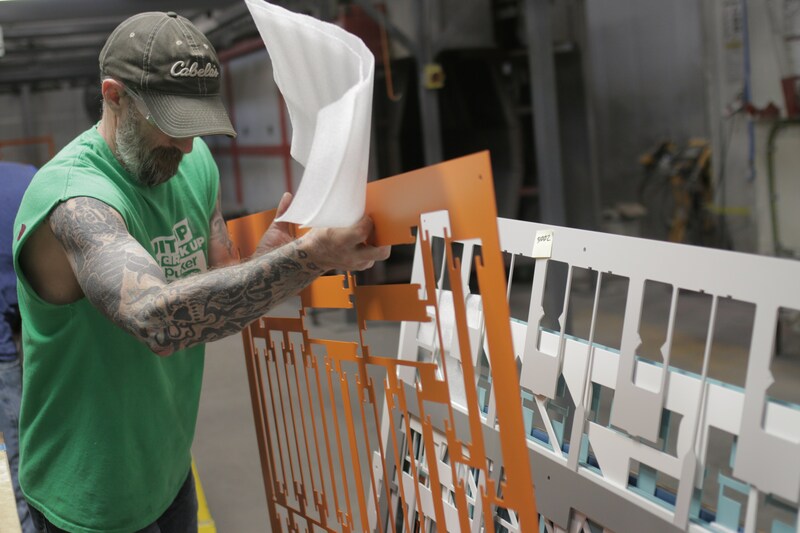 Watson products are made here, locally, with high-quality, sustainable materials. We have nothing to hide. We hired a designer in Chicago to help us bring the idea to life, but the pieces came all the way from Washington – as you can see here. 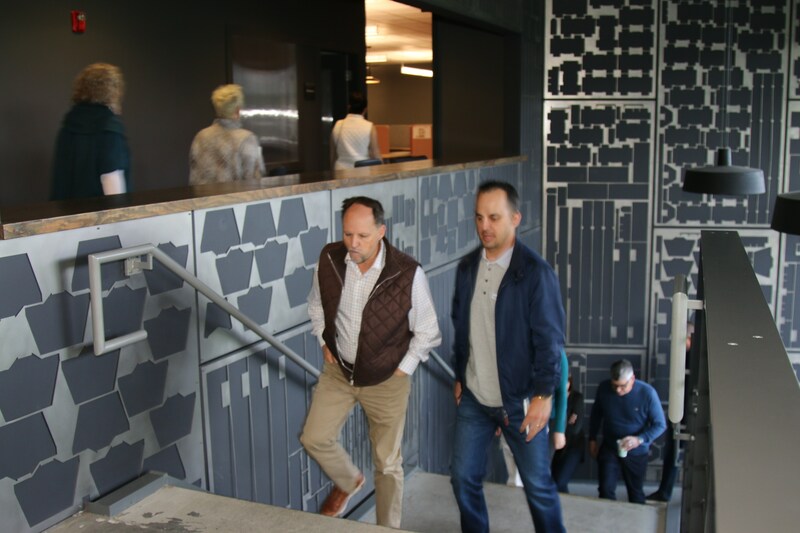 From capable hands outside Seattle to capable hands in a city halfway across the country, we knew what our skeletons were up to every mile of the way – just like every other product Watson sends out. When you buy a Watson product, you’re getting something we’re proud of. Something we’ve tested ourselves, perhaps in unconventional ways. Something that didn’t roll off an anonymous assembly line, but has a history. We stand behind what we make, from the Best of NeonCon award-winning Zo Sidecar to the all-new Bahn Rail, Bahn Recycling Center, Tonic Simple Media and Pin Mobile that haven’t even officially launched yet. 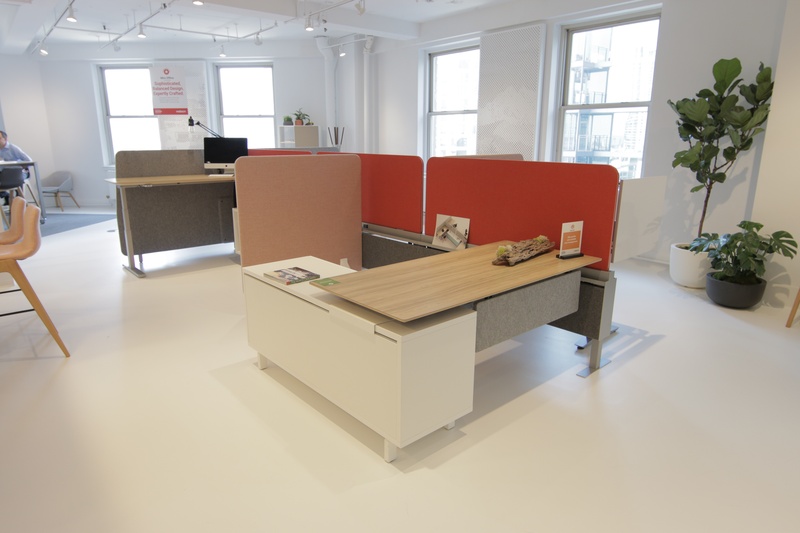 We’d like to think our NeoCon showroom represents Watson as a whole – you come because you’re inspired by the sleek, European-inspired design, but you stay because of the backstory. The attention to every detail. The passionate people who make working with us a delightful experience. And because we’re not afraid to show you any part of what makes us Watson … no bones about it.